Mark your calendars: We are the first store to carry Wollmeise yarn on the West Coast, north or south, and will celebrate with a launch PARTY next Saturday, November 19th from 11am – 6pm. Prizes, giveaways and yarn pettings all included. 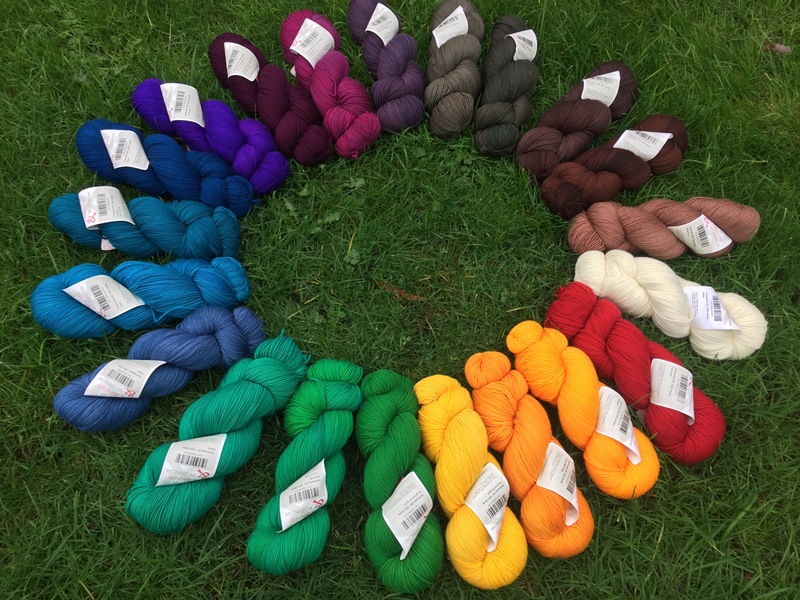 Our selection of DK solids; many of which we have in stock in sweater quantities! 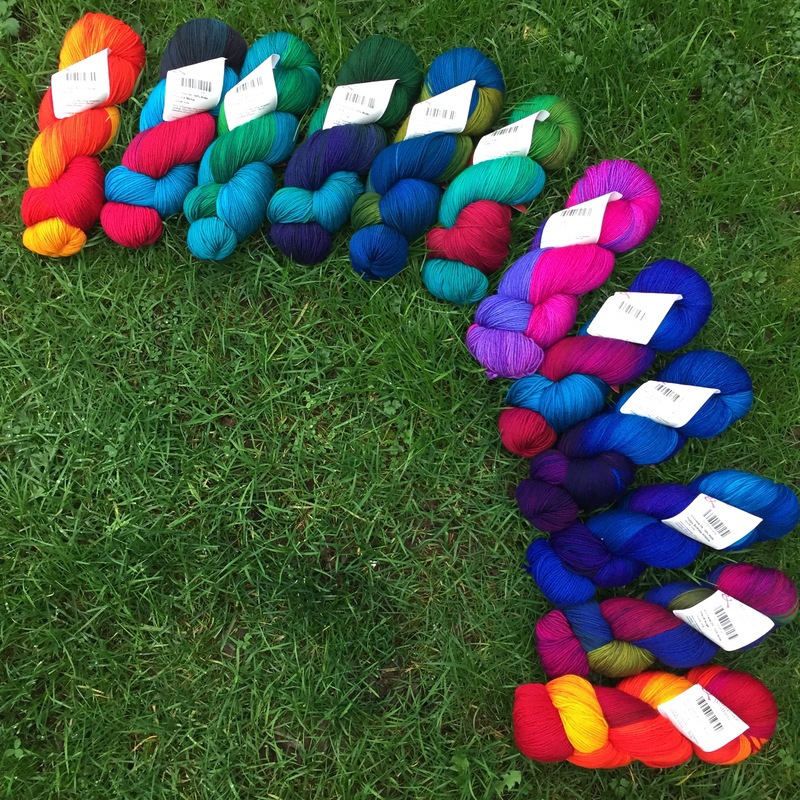 If you are unfamiliar with this amazing yarn, over the next week we will be sharing why this elusive yarn is a favorite of many knitters, and why it deserves its own party! And the DK weight multi coloured skeins.